Human Rights Day is celebrated on December 10 each year to commemorate the 1948 adoption of the Universal Declaration on Human Rights, which this year marks its 70th anniversary. This document was the first enunciation of the inherent and inalienable rights due to each person simply because she or he is a human being. Following the Universal Declaration on Human Rights, in 1966 the UN General Assembly adopted two International Covenants on Human Rights: the International Covenant on Economic, Social and Cultural Rights and the International Covenant on Civil and Political Rights. The two Covenants, together with the Universal Declaration of Human Rights, form the International Bill of Human Rights, and set out the civil, political, cultural, economic and social rights that are the birth right of all human beings. 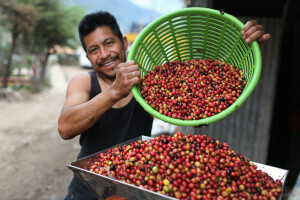 How Does Fair Trade Promote Human Rights? Human rights correspond to the demands of human dignity and entail the fulfillment of the essential needs of the human person in all spheres of life. The principles of Fair Trade promote several of the norms vital to any articulation of human rights. Many of the requirements for Fair Trade certification are also called for in International Covenant on Economic, Social and Cultural Rights. These include the standard of a guaranteed price minimum for producer cooperatives, which fulfills the right to work and economic development found in article 6 of the covenant. Additionally, the call in article 7 of the covenant for the enjoyment of just and favorable conditions of work which ensure equal remuneration for both women and men as well as safe and healthy working conditions are also standards articulated in the principles of Fair Trade. Lastly, Fair Trade standards ensure what article 11 of the covenant calls the “right of everyone to an adequate standard of living for herself and her family, including adequate food, clothing and housing, and to the continuous improvement of living conditions.” Farming communities use Fair Trade premiums to implement community development projects and improve their standard of living. In on example, a coffee farming community in La Revancha, Nicaragua installed functioning bathrooms and brought enough doctors to serve over 900 people. 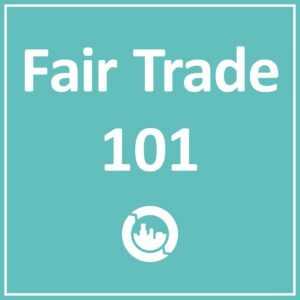 How Can YOU Use Fair Trade to Support Human Rights? BUY: How can you impact the human rights of producers around the world? Choose Fair Trade products to contribute to sustainable livelihoods and community development around the world. LEARN: Interested in learning more about human rights and the work being done to assure those rights to all people? Visit the website for the UN Office for the High Commissioner on Human Rights for more information. TAKE ACTION: Take part in a Human Rights Day event, and join us to expand our Fair Trade impact by starting a Fair Trade campaign in your community! 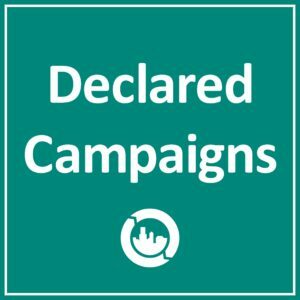 This post was originally written by Fair Trade Campaigns Fellow Ali Carroll and published in December 2015. It was revised and republished in December 2018. This piece demonstrates a clear connection between Fair Trade principles and the articles of the Universal Declaration of Human Rights. It would be interesting to see University/College organizers speak to this issue in their communities in the future. Alexandra is a graduate student at Boston College studying Theological Ethics and Human Rights. A California native, she first got involved with Fair Trade when she was a student at Saint Mary’s College of California, where she served as the student lead for the Saint Mary’s Fair Trade campaign, which was awarded in May 2014. Dedicated to issues of social justice, Alexandra has worked with Catholic Relief Services, Habitat for Humanity, as well as small non-profits throughout the San Francisco and Boston areas. Further inspired by time spent living and studying in Nicaragua, Fair Trade has become a major passion for Alexandra, both as a focus of her academic and personal interests. Alexandra currently resides in Boston, MA and is looking forward to furthering the Fair Trade movement throughout New England.